The word "Siculiana" would seem to derive its name, according to some, from the latin words Siculi Janua (Gateway of the Siculi and Sicilians). The historian Pirro believes it comes from the distortion of the Saracen suq al Jani (John's market), while the scholar Arezzo believes its origin to come likely from the arab Suqu 'l Yuni or Supu 'l Yunani. Market of the Greeks). Siculiana, previously believed to be the ancient Roman Cena, could have been a possible site of the mythical Sicanian King, Camico. The medieval hamlet of Siculiana, founded in 1310 by Frederick II of Chiaramonte, to whom is attributed the construction of the Castle, parts of which still exist today, rose on the ruins of the Arab fort "Kalat Sugul". It was in this manor-house that the second wedding, between Costanza Chiaramonte and Brancaleone Doria, who Dante cited in the Inferno, was celebrated. After the death of the Frederick II, the patrimony of the feudal estate passed through the hands of its many heirs over the years: first, to the Chiaramonte Del Carretto, then to the Baron Gilbert Desfar and Corillas, then to the Bonanno Bosco and finally to the Bonanno Borromei and Branciforti. The last Baron of Siculiana to inherit the title in 1899, through Royal Decree, was Antonio Bonanno Perez. Some years later Cav. Stefano Agnello of Cefalù acquired the Castle and converted it into his country home. 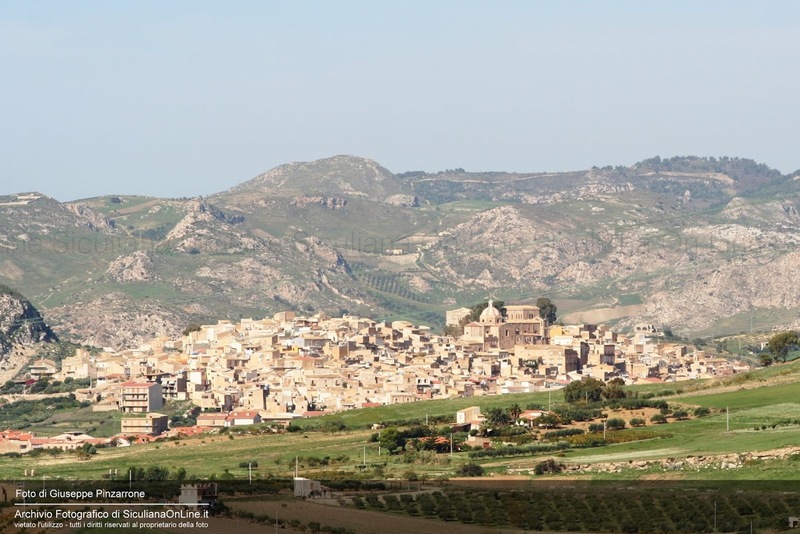 The total surface area of Siculiana is 4.058 hectares. The urban area is situated at an altitude of about 100 meters above sea level and has a population of about 5,100 people. The hills around Siculiana are suited for diverse wooded areas but can also be cultivated for sowing, for olive and almond groves, vineyards, horticulture, floriculture and different types of orchards. The Port of Call (Scalo) of Siculiana Marina was, from time immemorial, a very important commercial emporium. In the Roman-Punic era it was called Erbessos, under the Arabs it was known as Tirsat 'Abbad and Rahl Bekit, while around the 16th century Cala Cortina. In recent decades it came to be called simply the Caricatore (Loading Dock) of Siculiana, which was still active up to the end of 19th century. Siculiana can boast for having a coast line of more than 13 km long, much of which is absolutely uncontaminated. In the locality of Torre Salsa, a Regional Nature Reserve is protected due to its particular naturalistic and environmental interest. The landscape proves to be exceptional for those sailing along the coast. In the vast sandy beaches live very rare herbaceous and shrub species amongst them, the yellow sea lily while the interior area is the home of the Phoenician Juniper and the Agrigentine orchid. The marine fauna and flora of this region contain an abundance of species.